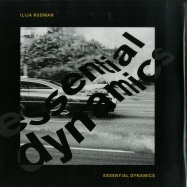 Over the last decade and a half, Ilija Rudman has been responsible for many high quality releases, delivering distinctly warm, sun-kissed, analogue-rich material on labels including Bearfunk, Instruments Of Rapture, Compost , 20/20 Vision, Electric Minds, Is It Balearic Recordings, Rong Music , Classic Music Company and of course, his own Red Music imprint. Even so, the Croatian has rarely made anything quite as deep and sensual as the material showcased on this first full EP for NuNorthern Soul. Top billing must go to the "Aquapella" version of "Tears To Sound", a spellbinding acapella cut that puts the enchanting vocals of storied soul man Andre Espeut front and centre. 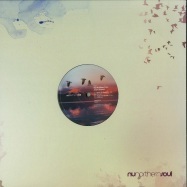 When Rudman sent the track to old friend Phil Cooper, the NuNorthern Soul boss thought it sounded like something he'd hear from US deep house legend Ron Trent. So, he approached the Prescription co-founder to see if he fancied remixing it. As you might expect, the results are astonishingly good. Rich in rising and falling new age melodies, darting synthesizer motifs, languid piano flourishes and heavy analogue bass, Trent's wonderfully ultra-deep interpretation naturally gives pride of place to Espeut's seductive vocal. Even by the Chicagoan's infamously high standards, his epic Vocal Mix is incredibly special. All versions of the single also feature two other original Rudman productions, both of which are wonderfully deep and dreamy. "Distant Feelings" is fluid, deep and yearning, with twinkling electric piano motifs and dreamy chords reclining over sizzling drum machine cymbals, no-nonsense beats and a gently pulsing analogue bassline. 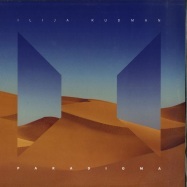 Those who enjoy the Balearic side of Rudman's work should also check out "Deep Sensation", a jazzy and breezy fusion of tumbling, vibraphone style melodies, rolling electric piano riffs and rubbery boogie bass. Both tracks are every bit as magical in their own way as the producer's thrilling Andre Espeut collaboration. DJ DEEP -What a beautifull release! i love the Ron Trent Mix as well as the Aquapella. The whole 12" is really beautifull! Can't wait to get my hands on this piece of vinyl! AAKMAEL - RT mix is the stand out as always. I also like project as a whole. SETH TROXLER - Love this would love to play it out. Everything Ron Touches is gold. OSUNLADE - Instant Classic. Please send Wavs! DJ NATURE - Really like the Ron Trent mix! Lovely track something for everyone on this release. HUNEE /RUSH HOUR- WOW what a beautiful release. I'm going to play them on the weekend. SPRINKLES - The remix strong. I will definitely play it in my set if it moves to a Joe Clausell moment. PATRICE SCOTT - Very solid release. Ron never disappoints. The man is a musical genius. ANTAL / RUSH HOUR - Really nice please send the wavs would like to play the music out. KEITH WORTHY - Thank you for letting me take a listen.Of course I'm a massive fan of Ron Trent and love this project. I'll get this on immediate rotation! AYBEE/ DEEPBLAK C'mon. When that's Ron Trent you know that's a fine bottle of wine!! Send it! JAMES TIEJ / WE PLAY HOUSE - Absolutely lovng the Ron Trent Mix and the Aquapella. Heart wrenching stuff, very nice deep song. CHARLES LEVINE /SOULCLAP -This is lovely! way into Distant Feelings and of course the Ron Trent Remix! RED RACK'EM - Loving all tracks. MIXMAG/ MARTYN HENDERSON - Loving this very much! ASHLEY BEEDLE - Love the Ron Trent mix and the Aquapella. IAN BLACK / SPIRITLAND/ PURPLE RADIO - Distant Feeling and Deep Sensation are favs. Both would fit perectly into my Spiritland warm ups with plenty to keep the head and the heart full. ELY ESKOBAR / PLANT MUSIC - I love this please send! 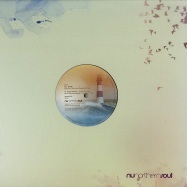 JAMES THOMPSON / JUNO - Unsurprisingly the Ron Trent remix oozes class! Great remix. Really liking the chugging deepness of Distamt Feelings too. Top work Ilija. PHIL ASHER - Absolutely agree on the dreamy description of this "Loose polyrhythms & dreamy keys" Ron T does the song great justice. GROOVE MAG/THILO SCNEIDER - I will review please send file. MARK E - Love the Ront Trent but I like all the other tracks too. ANDY D/ DEFECTED - The Ron Trent Mis is awesome! SANCHO PANZA/JIM ANGEL - Another classic from the school of Shine. Deeper than lake Baikai, stunning production and THAT VOCAL! Torn between A1 and B2 so I'll jutst have to play them both. SEVERINO /HORSE MEAT DISCO - Ron Trent is very good. Love the original tracks too. Deep Sensation is very Irma/Calipso rec meets Larry Heard. Nice. TERRY FARLEY/ BOYS OWN /FAITH - So gorgeous real deep house music from the king of 'warm pads ' Ron Trent - lovey song as well. 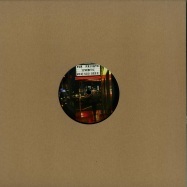 IRFAN RAINY/RAINY CITY MUSIC -Typical classy, warm & lush souful deepness from Ron. Def a winner. DANNY ASHENDON/ SLOTHBOOGIE -Loving the 2 flip side tracks, would like to Prem 'Distant Feelings' please! Liking the Ron remix but not feeling that vocal. DANIELLE MOORE/CRAZY P - I really love it. No matter the seasonal feel its bloody soothing and is calming me right down after a hectic day! Bllomin gorgeous. All tracks. Loving Deep Sensation but all fab. KELVIN ANDREWS - Oh yes. Fantastic. Ron Trent is a very special man. Humber spirit. This is killer. I love it. 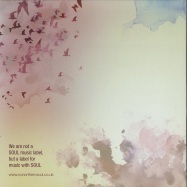 ANDY SIMMS / SOFT ROCKS -I absolutely love the Ron Trent mix, immense & thing of beauty! Deep sensation is really nice too, Larry Heard vibes.I'll play this weekend & on the radio show on Tuesday. DAVE JARVIS /FAITH /LOVE VINYL - Badass. Awesome killer killer Ron Trent Mix. CHRIS TODD /CRAZY P - Really good. Deep Sensation nad Distant Feelings have that familiar loopy Ilija feel to them which I love. Ron Trent's mix is lush. ALEXANDER LAY FAR - Ron Trent mix is special. Would love to play out an support in any way possible. AL MACKENZIE/D REAM - Always a fan of Ilija. Distant Feelings is really doing it for me. And that acapella! FRANK TOPE - This is brilliant! LEE FOSS - Love these! DAVID PICKERING /ONE MILLION SUNSETS - All over all of these tracks. Will play on the radio Monday! DJ BILLY WOODS - Deep Sensation sounds great! Reminds me of some of Larry Heards best work. 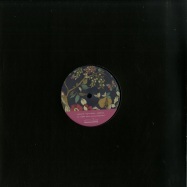 BOBBY BEIGE - Lovely EP from Ilija. My personal fav is Deep Sensation. The RT is pretty special too.Cracking! ANDY SIMMS / SOFT ROCKS - Love, Love, Love it! DAMIAN CHARLES /POINT BLANK FM - Love all of them. Would love them for the show. CRAIG WHITFIELD /HHA RADIO - Very nice loving the ultra-deep Ron Trent Mix. Very classy stuff indeed.Proper 5am turnour for an olde educated dancefloor I would say. I'd play it on my show as the last tune. CHRIS GALLLOWAY /SOFT ROCKS - Loving this, Ron Trent on point. Please send so I can play on my radio show tomorrow on Brighton FM. DANNY HARRISON/BOBBY BLANCO - Bit good this. Ron Trent mix is amazing but really feeling Deep Sensation. QUNN LAMONT / PAQUAQ - Totallly feeling this release. Played the hell out of In her Eyes. Lovely follow up. Ron Trent mix of course and particularly diggin' 'Deep Sensation. DANNY OLIVER / HIGH SOCIETY - I'm a big fan of Ilija stuff so I'm realy digging the original. Ron's mix is a real blissed out affair. KELVIN ANDREWS - This is outstanding. 100% support from me. STUART ROBINSON/ THE GREAT OUTDOORS - Loving the Ron Trent mix. BILLY SCURRY/ BELFAST MUSIC CLUB - Absolute heat! Whlst Deep Sensation and Distant Feelings are superb in their own right, Ron's brilliant mix nails a killer package. Def on the want list! 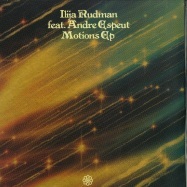 BRADLEY LUCKE / CUT AND SHUT DISCO - Love a bit of Ilija Rudman. Distant Feelings is doing it for me. Lovely great deep moody groove. NEIL SCOTT- I'm already a big fan of Ilija's stuff and the Deep Sensations track on here is great and obviously the Ron Trentt remix is a big slice of class too.